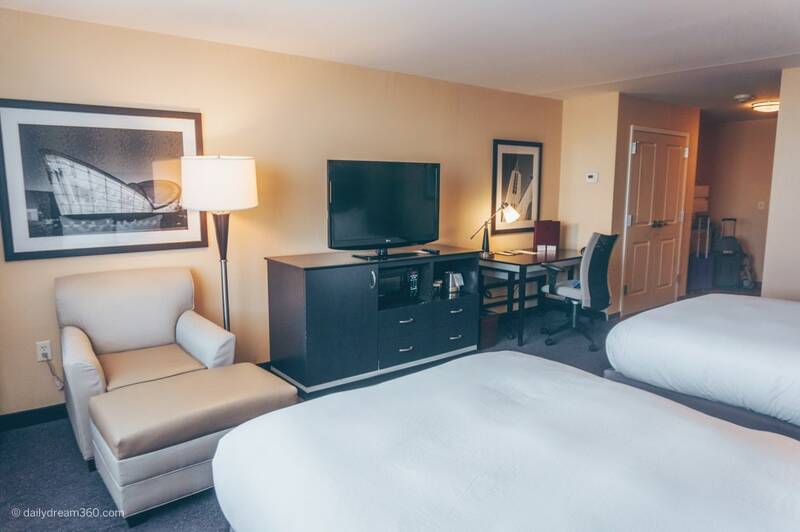 An ideally located hotel is the key to a great getaway. 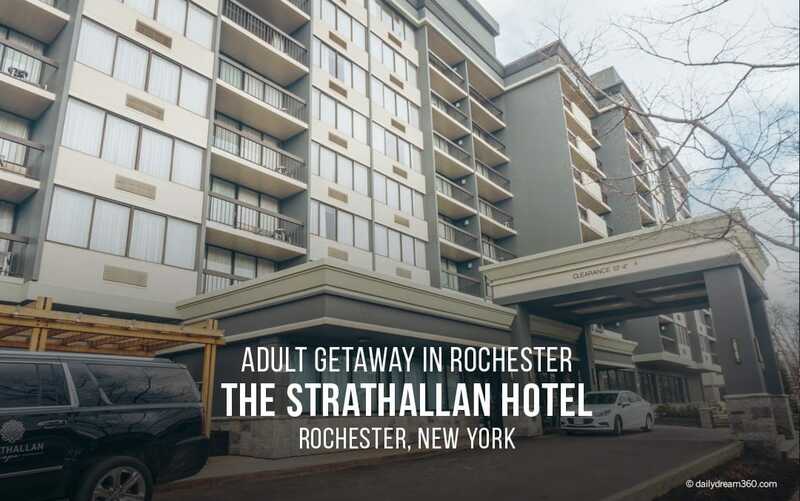 On a trip to Rochester, we stayed at the Strathallan Hotel and couldn’t have been happier. 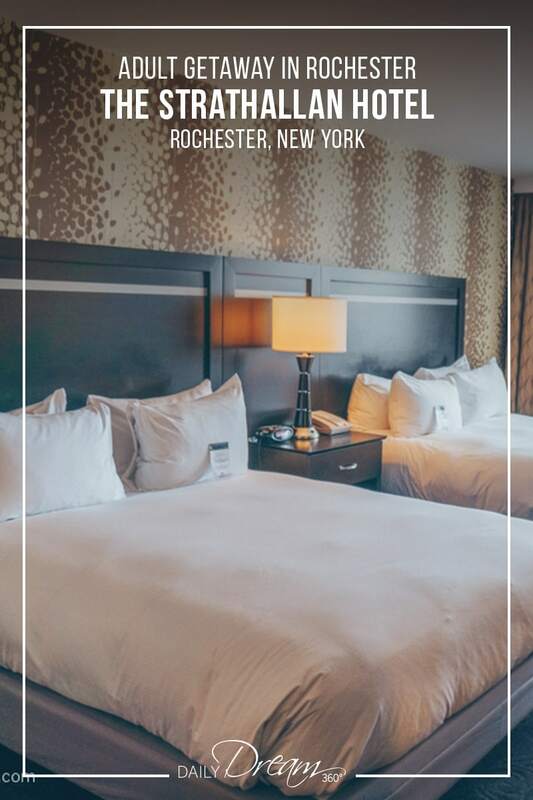 In this post, I have all the details (and a video walkthrough of our room) at The Strathallan Hotel Rochester – A DoubleTree by Hilton. If you are looking for hotels in Downtown Rochester NY, the Strathallan hotel is a good choice. 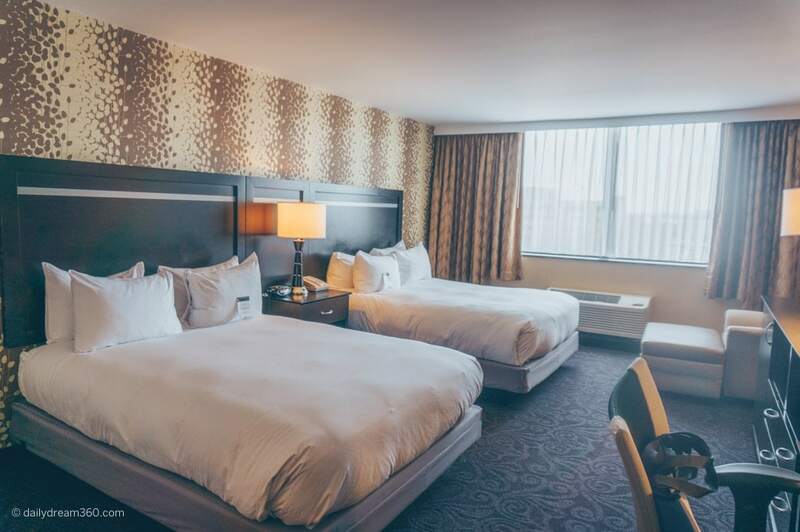 Located in the cultural and historic district of the city, the hotel is conveniently located close to nearby Rochester attractions which include the Memorial Art Gallery and George Eastman Museum. When we arrived at the hotel, we were immediately greeted by staff happy to help valet the car, and take in our luggage. At check-in we got a delicious warm gooey chocolate chip cookie to munch on as we finalized our registration. We came back for more of those cookies throughout our stay. So good! The room had 2 Queen-sized beds, a sitting chair, desk, tv, wardrobe, microwave and drip coffee maker. In the closet, there was a full-length mirror and plenty of hangers. The room also had a safe inside the closet on the top shelf. The room was spacious overall including the bathroom and shower. It would have been nice to have a second sitting chair, but with the restriction of the room size, queen beds were preferred over a second chair. 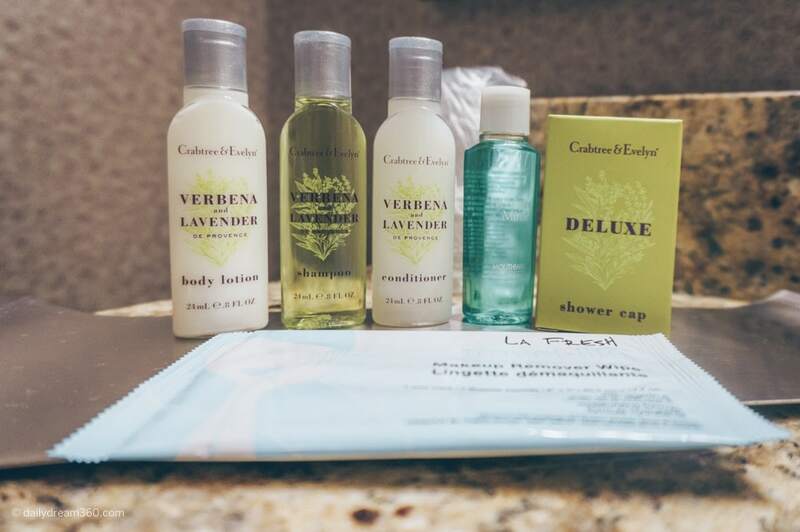 It was very nice to have toiletries by Crabtree and Evelyn stocked daily in our room. The only real issue I had with the room was the lack of electrical sockets. With two of us in the room, we had to fight for plugs to charge phones and camera batteries. Char Steak and Lounge serves steak and seafood in the lobby restaurant. We also had breakfast in the lobby restaurant each morning. 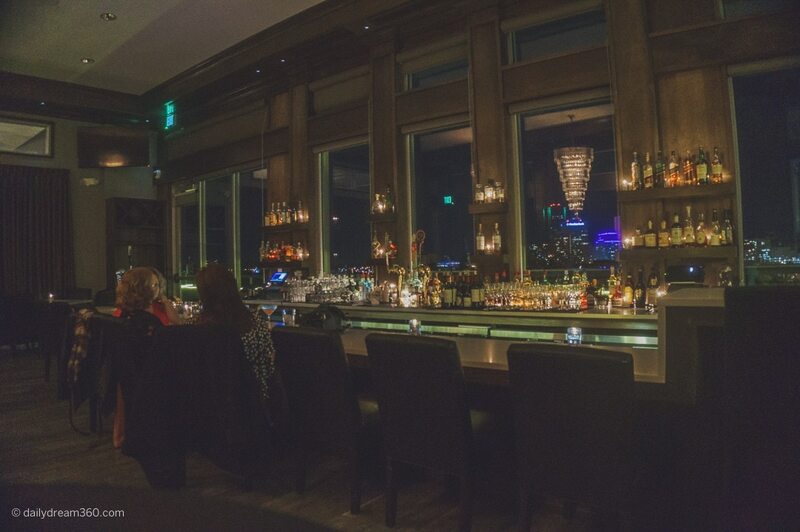 Dining lounges are turned into nightclubs at night. This created a bit of a noise problem. On Saturday night between the bars and a bike pub stop, the crowd was loud and screaming in front of the hotel which unfortunately was where our room was facing. Hatties a rooftop bar had a great view of the city. I have to say that this hotel is ideal for couples or adults looking for an escape. 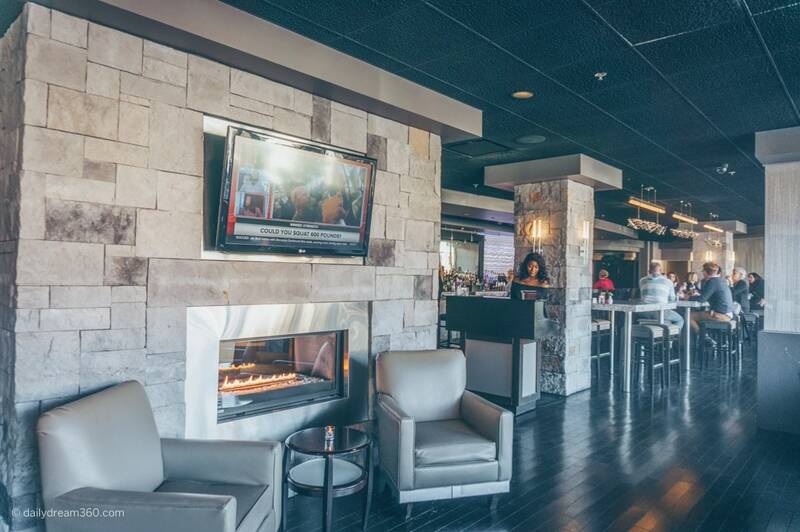 However, both restaurants/bars were open to the public, and there was no security at the elevators to keep bar patrons from coming onto hotel floors. 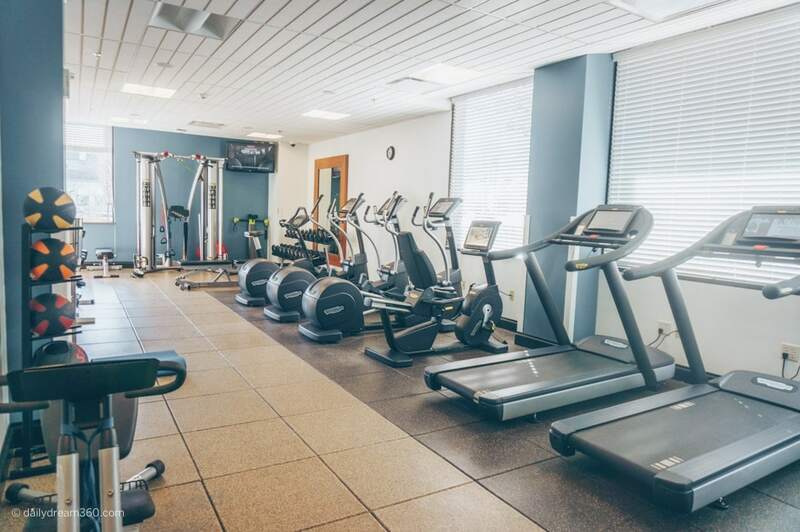 The Strathallan had a great fitness room, with cardio machines, strength training equipment and free weights. 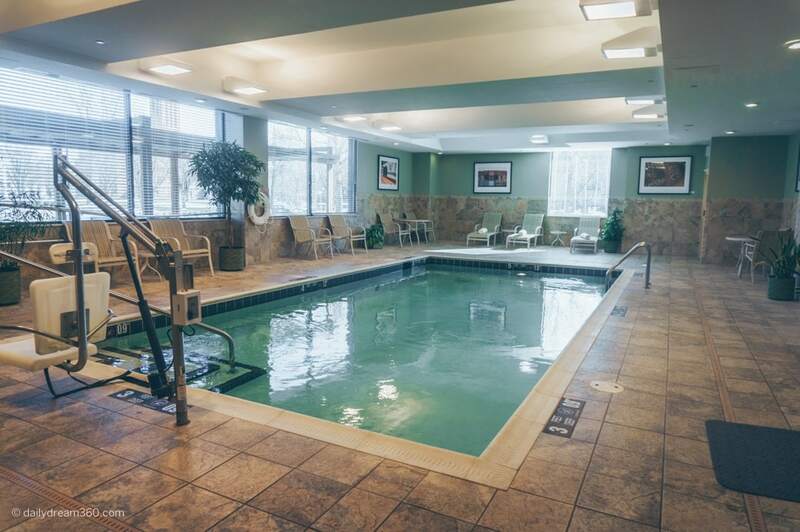 The hotel also had an indoor pool with lounge chairs. In addition, there is an outdoor patio but it was too cold for us to enjoy it. 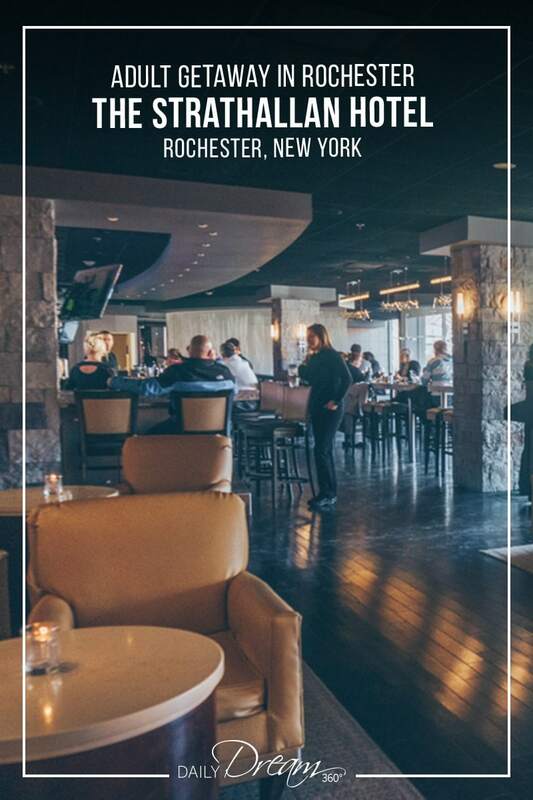 Overall I recommend the Strathallan Hotel Rochester for a trip to the city, especially for adults. 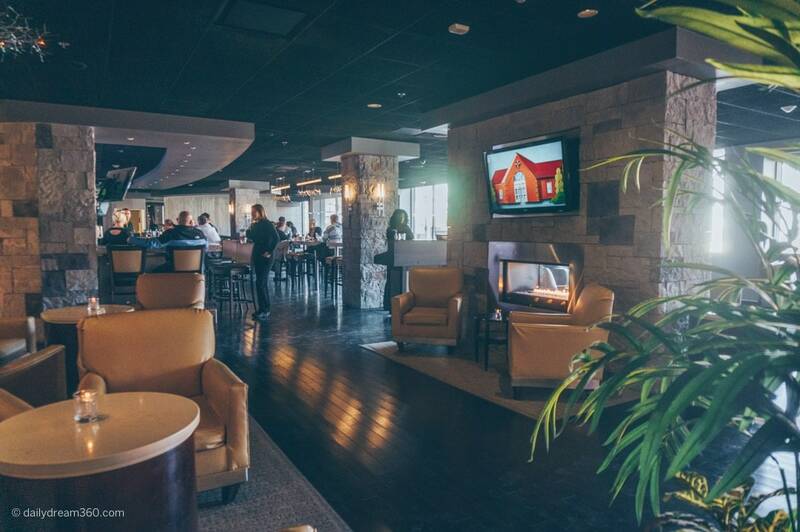 Having access to the lounges and bars was excellent, and the hotel’s location was very convenient for exploring the city. Travel assistance provided by Visit Rochester on a media FAM trip, however, opinions expressed in this post are my own.